Honda Internships are offered by American Honda Motor Co., Inc to college students who are in their junior or senior year. The internships are offered in the summer and give students practical, hands-on experience in their chosen career field. Internships last 10 weeks and are offered at Honda's Parts and Service division. Interns will work throughout departments to gain experience in the areas of product development, customer service, marketing, vehicle engineering, sales, finance, technical training or logistics. 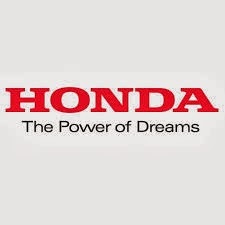 In addition, Honda R&D Americas, Inc. offers students work experience as a Co-op. Co-Ops are available throughout the year in the spring, summer, fall and winter. Students must have an interest in a career at Honda's high-tech facility in the engineering field. Why not apply for an externship and an internship? For students with an interest in manufacturing, Honda of America Mfg., Inc. provides co-ops and internship opportunities for students that are 3-9 months in duration. These work opportunities alternate sessions between full-time employment and university study.